I am excited to announce that The CRE App Review has been acquired by The News Funnel. I created CRE Apps in 2012 out of my own personal frustration. For years, I spent countless hours researching how I could use new technology to work more efficiently. I soon came to the realization that there were others out there doing the same thing. 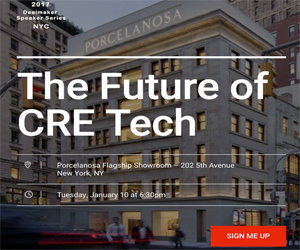 Seeing CRE Tech Intersect's success, as well as other examples begin to catch traction, I quickly came to the realization that the CRE App Review could be so much more than what it is today. In order to take CRE Apps to the next level, I knew it would require I focus on it full-time, or I needed to find someone else who recognized value in site as it was, but even more importantly, what it could become. Recently, I had the opportunity to meet one-on-one with Michael Beckerman, who founded The News Funnel in 2011. Upon this meeting, I immediately felt I had found the person who had the vision and the horsepower to execute a successful growth strategy for CRE Apps. Today, CRE Apps and The News Funnel join forces with the goal of becoming THE destination for all things CRE tech related. The News Funnel plans to keep The CRE App Review autonomous, and intends to increase the volume of posts in the site’s library, with several members of The News Funnel team contributing fresh content. I have agreed to stay on as an advisor to The News Funnel and CRE Apps, as Michael and his team take over the day-to-day responsibilities of CRE Apps. This acquisition is reflective of The News Funnel’s goal of remaining the largest content platform in the industry featuring media, company content and blogs. If you operate a website or blog in the real estate space (commercial, residential or construction related) and are interested in the possibility of joining forces with CRE Apps or The News Funnel, feel free to reach out to Michael and me. I want to thank all our readers and contributors who have made The CRE App Review what is today. Michael and I are excited to continue to deliver on our promise of creating informative, valuable content for the commercial real estate industry. Read the full press release over at The News Funnel.